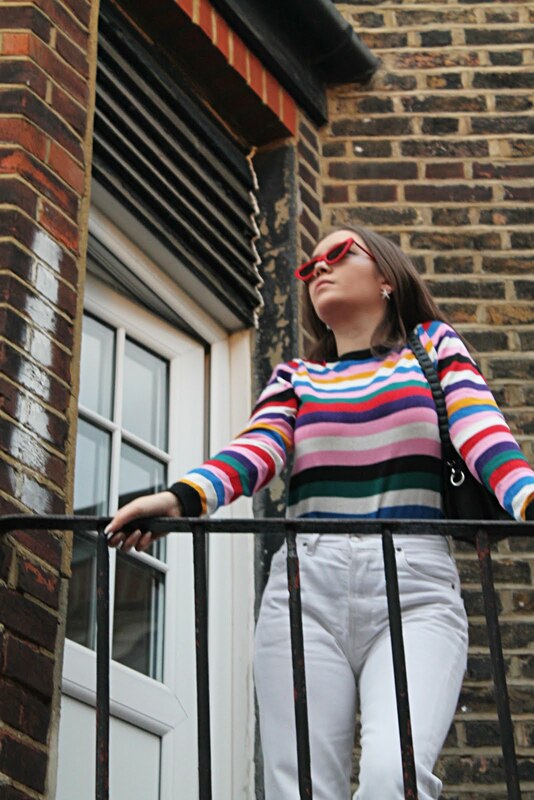 Christmas jumpers aren't typically something I would lust over but ever since Boohoo contacted me about featuring a 'How I Style Christmas Jumpers' post on my blog, my love for festive knitwear has been ever increasing. Since it's well into November now and with ever other advert on tv being Christmas themed (I'm not complaining, I seriously love it.) I think it's only appropriate to get into the Christmas spirit and what better way to dive into the festivities other than throwing on a Christmas Jumper?! In my mind, I'd never been particularly fond of Christmas jumpers purely because I had no idea what to pair them with. 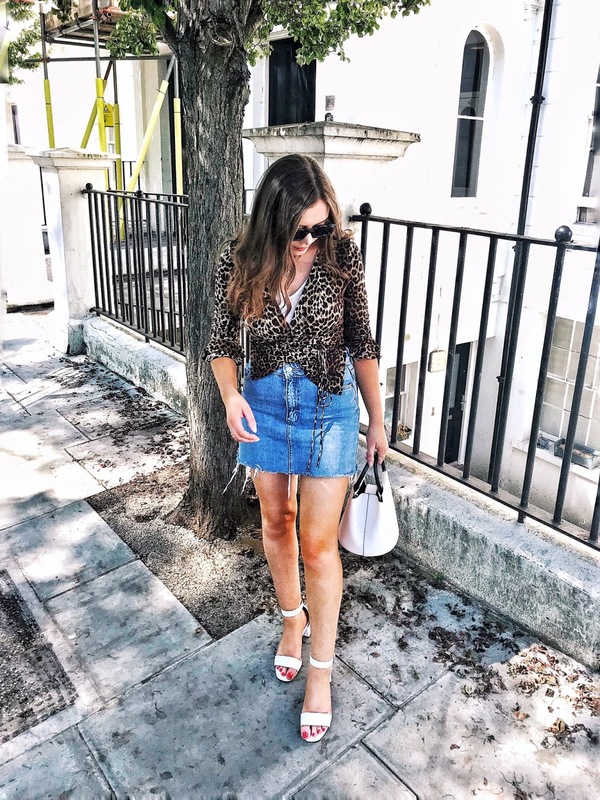 It wasn't until I was browsing boohoo.com for items to style the red reindeer and snowflake jumper with that I realised I had multiple possible outfits that I could potentially style this jumper with. I have to admit, it was harder than I expected to choose between the different combinations. I finally settled on the one outfit that I could personally see myself wearing on a cold winter's day (with tights of course!). I'm not usually one for jackets in any other colour than black in fear of it looking tacky but I really love the look of this white PU jacket (and it's on sale!) I think it ties in well with the jumper. For the bottoms, I went with a skort. I don't actually own a skort but I desperately want to purchase one, I think they just look so amazing paired with almost anything, especially in a classic black. Of course I had to finish the outfit with a pair of chunky cut out boots, they've been a huge staple in my wardrobe over the past month, I've barely worn any other footwear. Combining the sweater with a skort is such a good idea! I might have to get my hands on a nice skort as well sometimes soon.. better late than never! 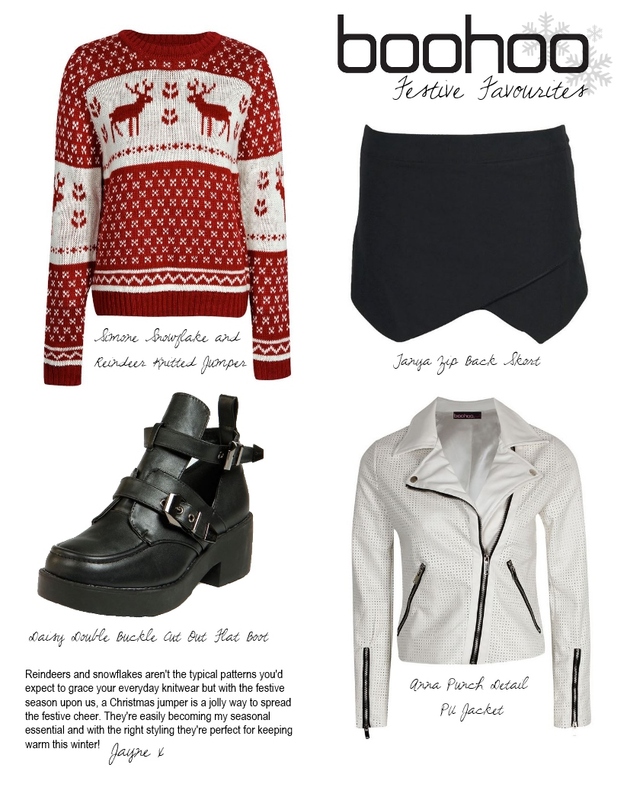 I need to get myself a skort, and a cute Christmas jumper! I love the way you've styles the jumper! I particularly love the skort! I love love love christmas jumpers, loving the way you're styling it! oo this is a very cute outfit you put together!! great outfit combination, i really like the jumper it's so cute! love the boohoo crimbo jumpers! That's such a cute sweater. Love the style. Would you like to follow each other on GFC? Just let me know so I can follow back. Thank you.